In an unusually tame call with investors Wednesday, Tesla CEO Elon Musk dialed back a long-running ambition of his to send a Tesla car across the U.S. on a fully-autonomous demo run. Now, after suggesting a test was imminent, Tesla “might” be able to pull it off by the end of 2018, he said. Now, who knows. But that comes with a caveat. 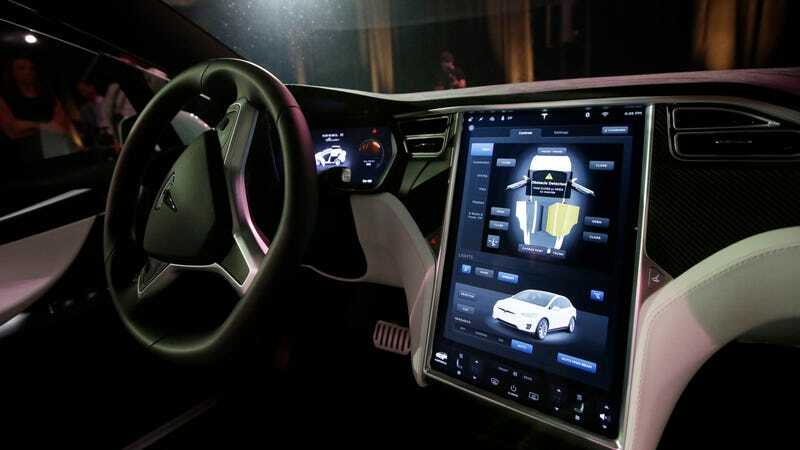 The shift toward safety features comes as Tesla readies the introduction of the its new software version 9. As Musk put it, the software revamp will expand the capabilities of Autopilot—the name of Tesla’s semi-autonomous driving system that’s available for $5,000 as an option—to include a slate of additional features. Particularly, he said, that’ll include on/off ramp maneuvers, and improved recognition of traffic lights, stop signs, lane changes, and more. The automaker’s CEO said he hopes to introduce the Version 9 software at some point in the next four weeks, and that’ll reportedly include some classic Atari games. More notably, the shift toward safety comes as regulators continue digging into a number of crashes this year involving Tesla cars operating Autopilot, including a fatal Model X accident in March. Tesla posted a $719 million loss on Wednesday for the second quarter of 2018, and said that it expects to make an average of roughly 4,000 Model 3 sedans per week in the third quarter.